15-year-old Canadian motorcycle road racer Jonathan Finn is honoured to announce that he has been invited to the 2018 Red Bull MotoGP Rookies Cup Selection Event taking place in Guadix, Spain from October 2nd to the 4th 2018. Finn will be one of numerous riders ages 12 to 16 years old invited from around the world to vie for a handful of spots open to new applicants. The final selectees will have the opportunity to develop their skills and prove themselves in front of Grand Prix fans, teams and the media. The Red Bull MotoGP Rookies Cup is a unique program designed to help develop up-and-coming young motorcycle talent from around the globe. This prestigious series provides riders a chance to compete on world-class racing circuits across Europe on identically prepared Moto3 specification KTM RC 250 R 4-stroke race bikes. Riders are selected to tryout through a thorough application process. Since the start of the Rookies Cup in 2007, 171 young motorcycle racers from 34 countries have ran intensive duels in this challenging junior series. For many of them, the Cup was a springboard to a successful career. “Ex-Rookies” have already won 69 Grands Prix and 5 World Championship titles. For the last three years the Moto3 Champion has come from the Rookies Cup every time. Joan Mir became the World Champion in the Moto3 in 2017, just like Brad Binder the year before. The most spectacular career story is that of Johann Zarco, the first title winner of the Rookies Cup. The two-time Moto2 Champion stirred up the MotoGP premier class and was the sensation of the 2017 season in both lap-times and podium position. 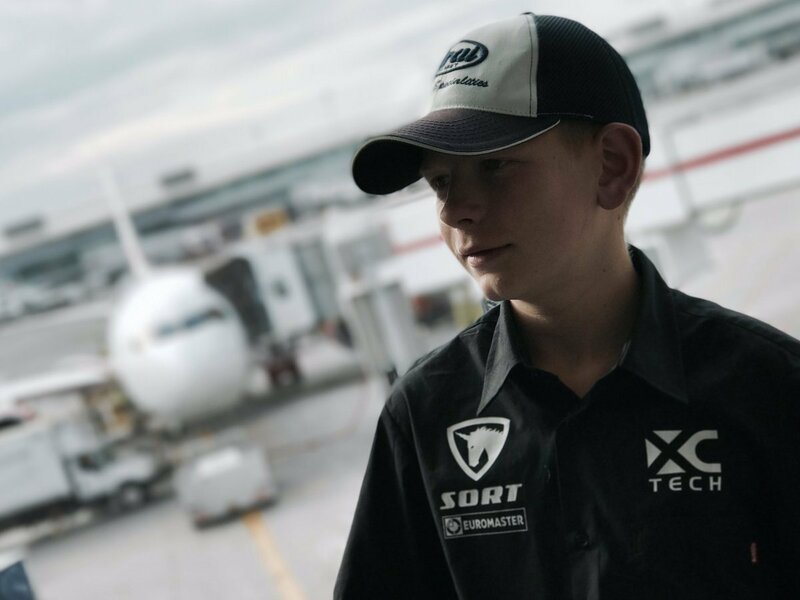 In his 9 years of racing, Finn has amassed 4 Canadian National Championships as well as multiple regional Championships in Mini Road Racing throughout Canada. He’s also experienced success racing abroad in the United States and Europe. The Bushell Park, Saskatchewan native currently competes in Spain in the RFME Campeonato de España Cetelem de Velocidad Pre-Moto3 series. Racing at tracks like Jerez, Valencia and Motorland-Aragon, this series is a steppingstone to the CEV Moto3 Junior World Championship. Jonathan’s goal is to represent Canada & North America at the international level to the best of his abilities. A panel of racing experts will evaluate the Rookies Cup applicants in Spain. The judges in charge of the Red Bull MotoGP Rookies Cup selection process are: Gustl Auinger, Austrian motorcycle legend and Grand Prix winner, Harald Bartol, Austrian Grand Prix rider and engineer, Peter Clifford, MotoGP expert and former Red Bull Yamaha team owner and Daniel Ribalta, Rookies Cup Rider Coach. Finn is thankful for the support from Canadian Tire – Cobourg, Arai Helmet Americas, Bickle Racing, Human 2.0, Impact Safe-T Armor, Marsquest, BigB Racing, VNM Sport, Moto World, RST-Moto, Infinet Motorsports and Vroom Media Ltd. Copyright © Jonathan Finn, all Rights Reserved.